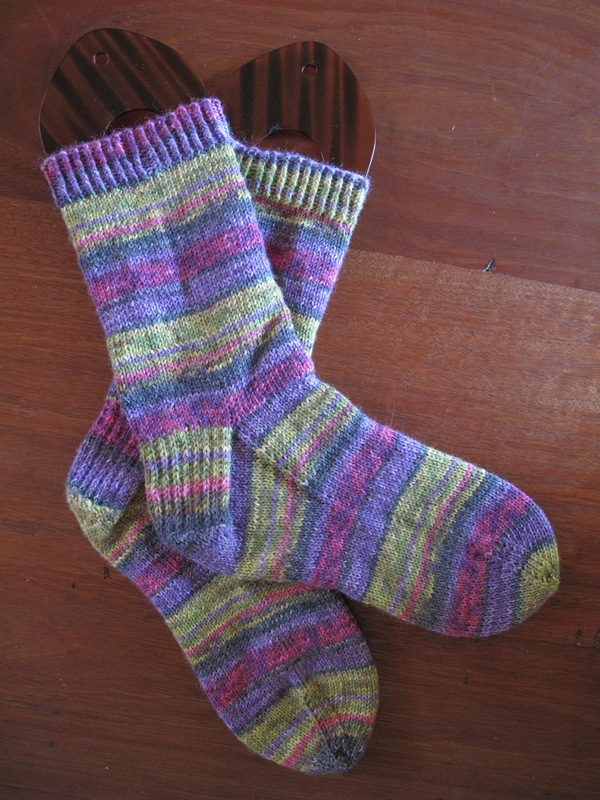 With the excitement and anticipation of the Seven Skeins Club beginning last week, I thought it was time to finish up a pair of socks that had been on my ‘brainless knitting project’ pile for too long a time now. So old that Debs enquired ‘I’ve seen those before Sonia?’ at knit night last week. Right, I thought! They are Opal socks in the Rainforest colour way. 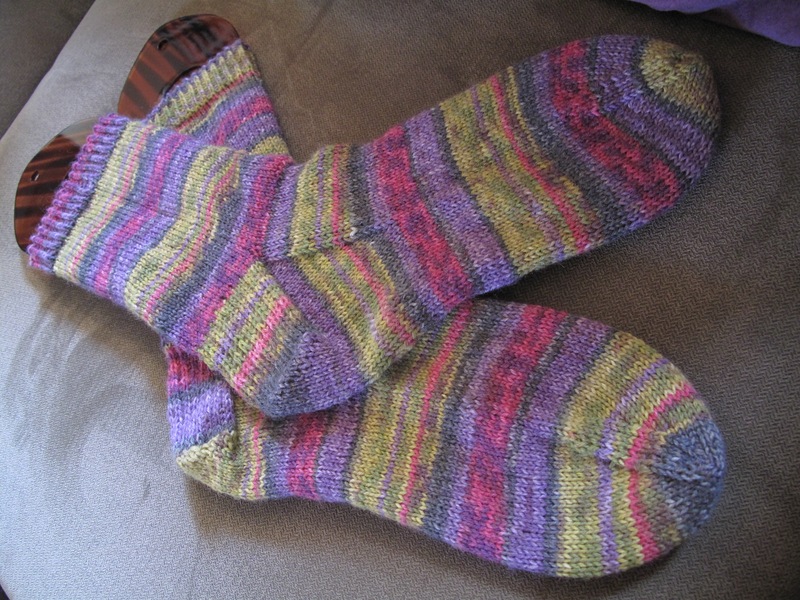 I used Susan B. Anderson’s How I Make My Socks pattern. 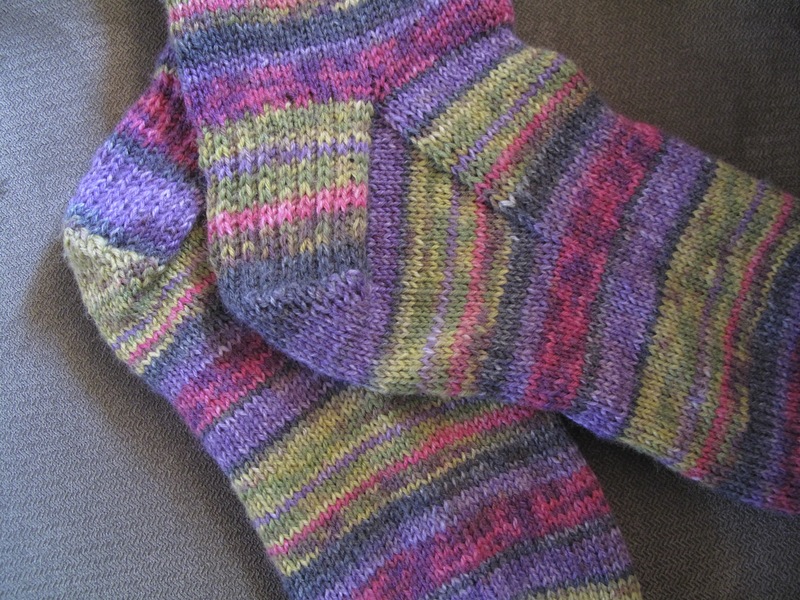 It is essentially a basic cuff down sock pattern, my favourite way to knit socks. I knit the leg using 2.25mm needles, then I switched to 2mm needles when turning the heel for the remainder of the foot. My socks have a snugger feel when I do this. Ah sock Utopia! Although this is mainly due to my Kate Davies colour work socks. My Opal socks FO haven’t got a box to be crossed off! p.s. If anyone wants to claim 5.5 balls of Louisa Harding Shingle, it’s yours, just leave a comment. That’s my ‘Lose it’ box sorted. The Opal socks are rockin’! Louisa Harding yarn is always awesome. Can’t go wrong there. I can totally understand sock utopia!!!! Yarn is always welcome for me! It’s been a long time since I went yarn shopping…..
Love the color of the socks. 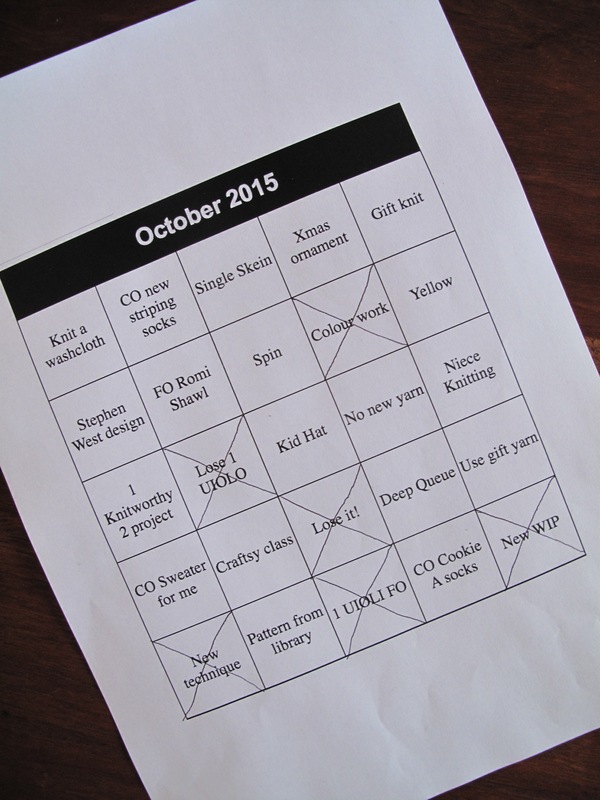 yay for bingo squares!